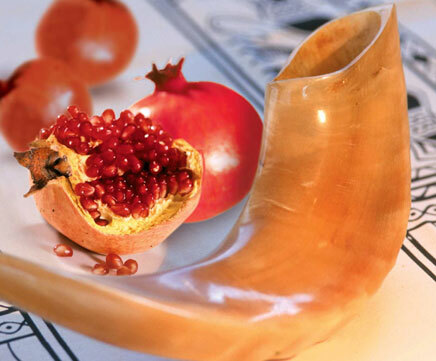 Rosh Hashanah and Yom Kippur – they are the High Holy Days of the Jewish year. But what is their significance for Christians? Do these holidays still hold meaning and power for those of us who either aren’t Jewish or are Jewish Believers? If you know me, you know that my answer is obvious. Yes! But why? Why do we, as Christians (or Messianic Believers) celebrate the High Holy Days? First of all, when it comes to celebrating the Biblical Holidays in general, I believe that we serve a God who never changes, and our God created these holidays for us as Appointed Times. Did you get that? God created holidays as an “appointment” to meet with us, and for us to celebrate! Their importance and significance has not been diminished over the years, because God never changes! We also know from Scripture that Yeshua (Jesus) celebrated these holidays and commanded us to imitate Him. The early believers all worshiped in the context of Judaism, and these holidays were celebrated by believers until antisemitism crept in and began pulling Christians away from their roots. Let’s start with this. The main theme of the High Holy Days is repentance. These are good days, but weighty days. They are joyous, because we serve a God who forgives, a God who desires right relationship with His people and gives us a way to be right with Him through His Son. But they are still serious, because our sin separates us from God, and that is a very serious thing. Rosh Hashanah is known in Scripture as Yom Teruah – the Day of Blowing, what we also call the Feast of Trumpets. On this day, there are only a couple of commands – to gather together (a holy convocation) and to listen to the blowing of the shofar. What is the significance of the shofar? The shofar has been used in Scripture as an audible symbol of the presence of God. It brings us back to Mount Sinai, where the people heard the shofar blast growing louder and louder, as God Almighty was preparing to give His people His instructions for life. It was used in worship throughout centuries. And we know that when our Messiah comes again, the sound of the shofar will precede Him. God, in His wisdom, established a holiday in which we are to listen to the shofar. We not only spend this time looking forward to His final return, but we remember the importance of paying attention to His presence in our lives now and listening to His voice. Rosh Hashanah also begins what is called the 10 Days of Awe. This is a time set aside for introspection and righting wrongs in your life, especially in the area of relationships with others. This time prepares you for the holiest day of the year, Yom Kippur. Yom Kippur is the Day of Atonement. It is the holiest day of the year. Unlike other holidays which are feasts, Yom Kippur is a day of fasting. It is a somber day. Jewish people traditionally spend this day in prayer, repenting for sin and asking God to seal them in the Book of Life for another year. As Christians, we don’t believe that we need to ask for salvation year after year. Our salvation is promised to us through our surrender of our lives to the Lord. But there is still great value to keeping Yom Kippur! We still have the theme of repentance that is so important. It is another chance to make sure our lives are in right standing with God. We remember that atonement for our sins was bought with Yeshua’s blood. And we thank Him that we know our names are written in the Book of Life! I hope that I have inspired you to celebrate these fall feasts to some degree through this little blog post. God has designed these Appointed Days with so much meaning and purpose, and I know He has something planned for you in them as well. This week our family has been celebrating Passover, and it’s been a lovely week! 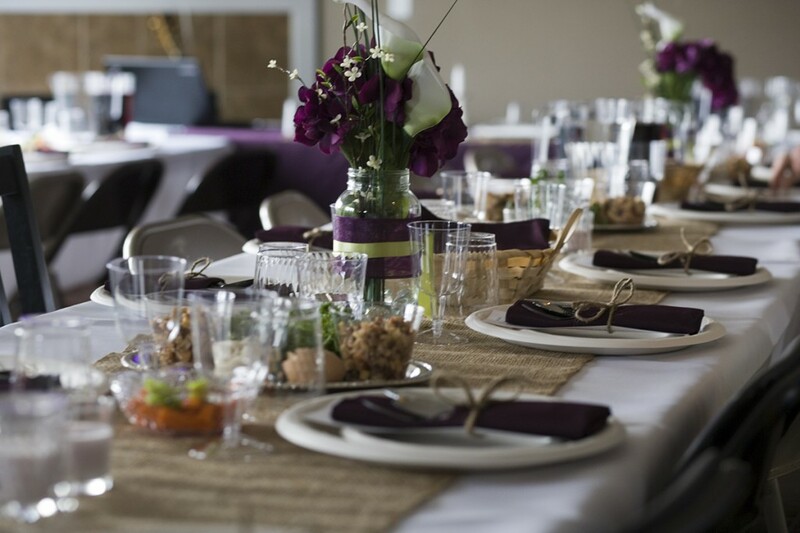 It started out with us hosting our first community Passover Seder on the first evening of Passover. Next, we celebrated our oldest’s 7th birthday, and we will celebrating Yeshua’s resurrection on Sunday. 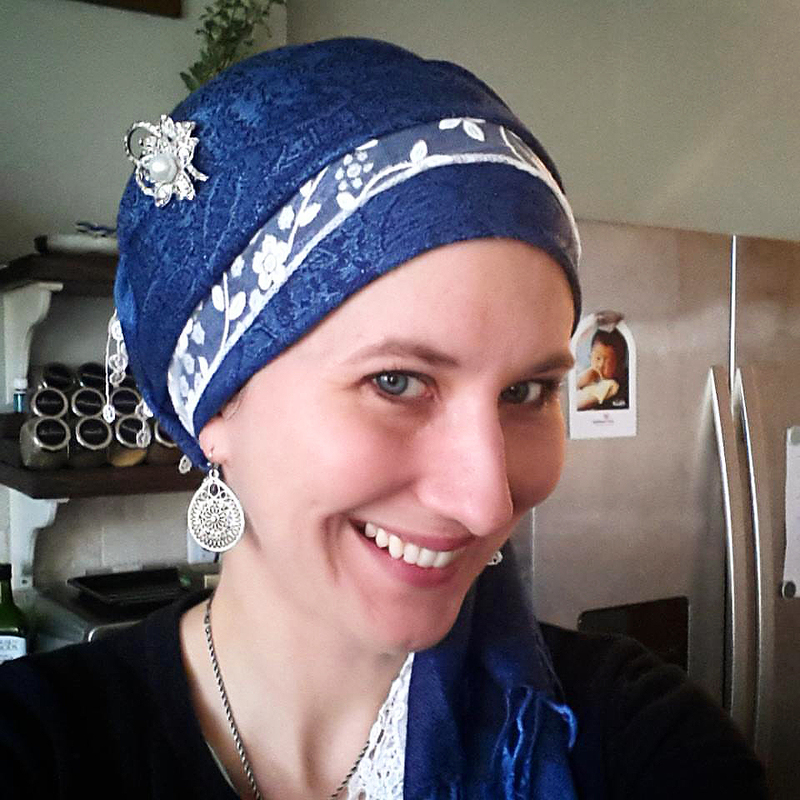 With the festive nature and significance of the holidays of this week I felt inspired to write a little more about Passover. I want to introduce you to the little-known holiday of Yom HaBikkurim, discuss the roots of Easter, and then go over the whole thing from a Messianic perspective. 1.) 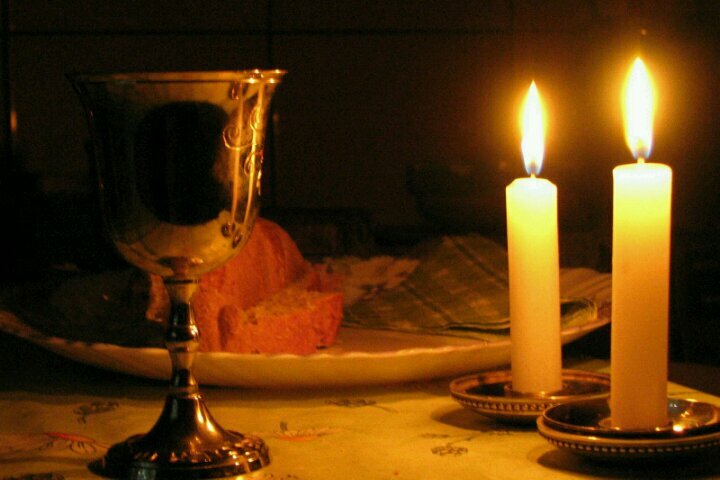 The first night (often 2 nights)- which is what is typically referred to as Passover, when we celebrate with a seder dinner. The Feast of Firstfruits is a very interesting holiday because it spans 50 days! The first day is the Feast of Early Firstfruits, Yom HaBikkurim, which is when the first fruits of the barley harvest were brought to the Lord. This day begins the counting of the omer, a counting of 49 days, after which another holiday, the Feast of Latter Firstfruits, or Shavuot, is celebrated. The latter firstfruits is when the first fruits of the wheat harvest was brought to the Lord. Like all of the other holy days that the Lord has designed for us to celebrate and meet with Him, these two holidays have much more than an agricultural meaning. Historically, it is believed that the first Yom HaBikkurim was the day that God delivered His people from the Egyptians at the Red Sea, finalizing their freedom. It is also believed that the first Shavuot was the day that God gave the Torah on Mount Sinai. Just as we honor the Lord’s death on Passover, we have found much meaning celebrating the resurrection of our Master on Yom HaBikkurim. There is a deep authenticity to the keeping of a holy day that was set apart by the Lord Himself. Knowing that God established these days so far in advance, with the plan of their ultimate fulfillment in Yeshua’s coming, is such an amazing realization! While we can’t bring the first fruits of the barley harvest to the temple to offer to the Lord, we can offer Him the first fruits of our lives. We can continue to meditate on the freedom that He gives us through Yeshua’s death that is ultimately known through His resurrection. And we can celebrate that just as our Master was risen from death, we have achieved victory over death through His sacrifice! Now I am going to shift gears a bit. I want to talk about the holiday that is usually used to celebrate the Messiah’s resurrection: Easter. There is a lot of information out there discussing the history of Easter. And a lot of it is just plain terrifying! I don’t know about you, but when we began down the road of Messianic observance, we were mortified at the things we read and quickly put a stop to all of our celebrations that had questionable history. (Another blog coming later about this.) After several years of learning, we were finally introduced to some thorough, unbiased scholarship in this area. The FFOZ teaching, What About Paganism, was an eye-opening look into the actual history of these holidays. I would encourage anyone who is questioning the roots of these celebrations to check out this resource and get the whole scoop. Myth: Easter is named after Ishtar, the goddess of fertility. Myth: The Eucharist is pagan in origin, derived from the worship of Mithra. Fact: The Eucharist comes from the Passover Seder, and has become separated from its Jewish roots over time. Also, in most cultures and languages around the world, the celebration of Yeshua’s death and resurrection is still known as Passover – Pasqua, Paska, Pascha, Pascua – all derived from the Hebrew word Pesach, meaning Passover. 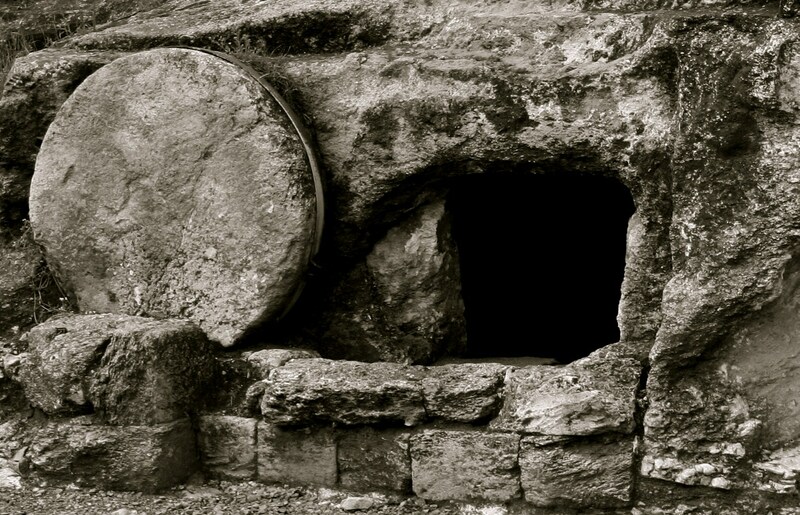 If you are questioning the roots of Easter I highly recommend you check out the resource above. But suffice to say that we have come to the conclusion that celebrating Easter is not participating in some ancient pagan ritual. Like anything else in life, you can choose to do it in a way that brings honor and glory to the Lord, or you can choose to do it in a way that pleases the flesh and ignores God. In the Messianic community the misinformation I referenced briefly above has caused a lot of paranoia about paganism. Many people refuse to get together with the rest of their families who celebrate certain holidays because they believe it’s sinful. Many spread false information and fear among believers. And while I believe that the majority of people who do this do it out of genuine desire to honor God, it grieves me. It grieves me because it is so alienating. It causes dissension and animosity between believers and does nothing to build the kingdom of God. So much of this information is also based on poor scholarship, which sends the message to the rest of the Christian world that we are “fringe” and uneducated. It can also cause deep, lasting hurt in families. This year we will be attending an Easter morning service for the first time since we’ve been married. Why? Because we now live close to Mark’s parents and we know that it would honor them (and bless us as well) to celebrate with them. This year, Easter is also the same day as Yom HaBikkurim, which means our family will already be celebrating the Resurrection that day. Woe to you! For you tithe mint and dill and cumin, and have neglected the weightier matters of the law: justice and mercy and faithfulness. These you ought to have done, without neglecting the others. And this is his commandment, that we believe in the name of his Son Jesus Christ and love one another, just as he has commanded us. Whoever keeps his commandments abides in God, and God in him. I want to encourage you to let love reign in your celebrations of our Lord this season. Whether you celebrate Yom HaBikkurim or Easter, do so in a way that brings honor to Yeshua and His power over death. May your love for others take precedence over the particulars of your observance. And may we all strive to outdo one another in showing honor! Today is one of my favorite days of the year- Passover! This year will hold a special place in my memory, as we hosted our first community Seder last night. 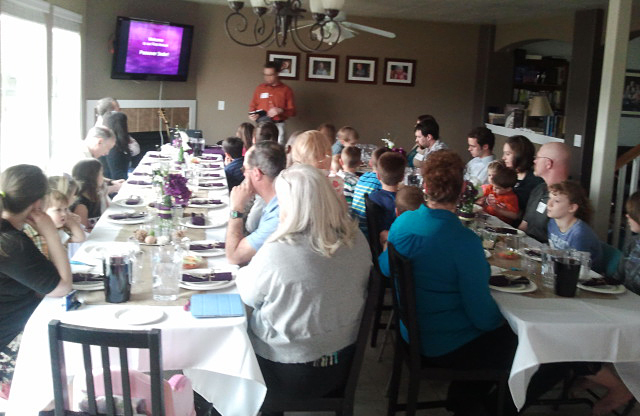 We turned our dining and family rooms into a banquet hall and fit 34 people in our home to celebrate God’s deliverance! This is one of the holiest days on God’s calendar, and it holds even more significance for us as believers. Passover was the first holiday (other than the Sabbath) created by the Lord, set apart as a holy day to remember his deliverance of his people from slavery. Most of us know that Yeshua was crucified on Passover as well, fulfilling an even deeper aspect of the holiday. As we went through the Seder last night, we talked about the meaning of each of the elements, and it always amazes me how God set up these symbols to all have dual meaning- both for the Exodus and for Yeshua’s death and resurrection. The most memorable part of the evening for me was when Mark taught about the afikomen. He was brought to tears, recalling our Messiah’s brutal, sacrificial death. Our Master, Yeshua, told us what the significance of the afikomen is. The first significance is in it’s name. Afikomen means “The One Who Comes Again”. Yeshua rose again from the dead to complete His mission of redemption and, of course, He will come again to establish His kingdom. It is made without leaven which is a symbol of sin. Likewise, Yeshua was sinless. The matzah is striped from hot, swift baking. Likewise, His body was striped by means of the Roman whip. 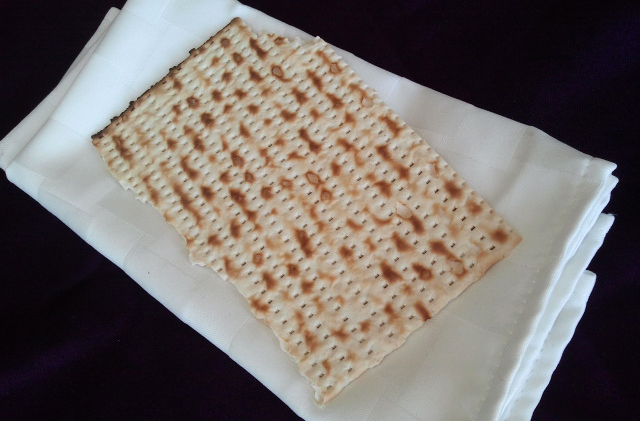 The matzah is pierced to prevent rising. Similarly, His body was pierced by the Roman nails in His hands and feet and the Roman spear thrust in his side. As the afikomen is wrapped in white cloth, so was His body prepared in white cloth for burial in a tomb. Another key part of the Seder is the 4 cups of wine/juice that are drank in certain parts of the evening. Each cup has a specific meaning. The cup after the meal – the one that Yeshua took and said “Do this in remembrance of me” – is the third cup – the Cup of Redemption. How appropriate is it that we are told to remember Yeshua’s sacrifice at the Cup of Redemption! Not only do we celebrate the redemption of the Jewish people from slavery, but we celebrate our redemption from slavery to sin, bought by our Messiah’s precious blood! But in doing this every month, it was never explained to me that what Christians do as Communion was in fact instituted by the Messiah as a part of Passover! 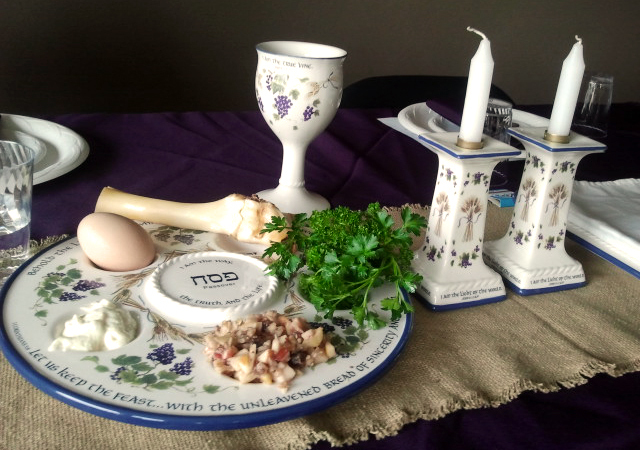 While Communion does have beautiful meaning and symbolism, the depth of Passover far exceeds it. God created this day to be a sacred celebration for His people, and we – as Gentiles grafted into His people – are encouraged and welcome to partake in it and receive the blessings that it entails. This season, I encourage you to look into Passover yourself. Learn about the dual symbolism that the Lord gave us to remember Him by, and let Him speak to you through it! Hanukkah – Why do we celebrate? We celebrate Hanukkah. And we’ve received our share of questions as to why we choose to celebrate this holiday. Unlike most of the holidays we celebrate, Hanukkah was not designed by God himself. It is usually seen as only a Jewish holiday, as it revolves around a critical piece of Jewish history. 2. Without Hanukkah, Jesus wouldn’t have come and we would not have salvation! Scripture is clear that the Messiah would be Jewish and come to the Jewish people. Without the brave Maccabees fighting for the freedom to practice their faith, the Jewish people would’ve become completely assimilated into Greek culture or been annihilated. Yeshua wouldn’t have had a people to come to! We owe our salvation, in part, to these amazing heros. 3. Hanukkah has the powerful themes of dedication, light, and miracles. During these eight days, we meditate on how we are to be dedicating our lives to God, how He calls us to be a light to the world, and how He is a God who works miracles! These are wonderful, faith-building lessons for us and our children to learn. 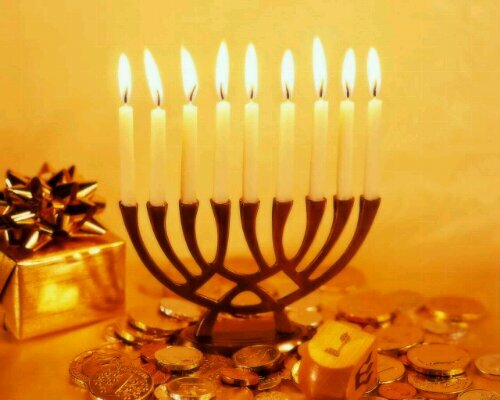 For more information on celebrating Hanukkah with your family, the website http://www.biblicalholidays.com is a great resource, and for more detailed information, I highly recommend the resources from First Fruits of Zion, found online at: http://ffoz.com. Today is the Sabbath – the seventh day of the week. We usually refer to it as Shabbat, the Hebrew word for Sabbath. Sabbath/Shabbat means “rest” or “cessation.” Sabbath-keeping has been a big part of our lives since we began walking down this path of Messianic observance almost 8 years ago. We have discovered such beauty in the Sabbath! This morning, Mark and I had a short but meaningful conversion of how our observance has been lacking lately. This has been in part to a crazy month with three trips away from home. But it is also a result of, quite honestly, laziness on our part. As many of you may know, we have been home-churching since we moved here almost 6 months ago. Every Shabbat morning, we plug our computer into our tv and watch our home congregation’s live streaming service. It has been such an incredible blessing to us to be able to stay somewhat connected with our community as we make the transition to life in Idaho. But it’s also so easy to get slack. When you can watch service in your pajamas while eating french toast, it’s hard to discipline yourself to engage in the service, enter into worship, and let God speak to you during the message. This morning, as service was starting, I realized that our busyness and lack of routine had really made our lives go topsy-turvy, and this feeling was especially strong as I was trying to enter into the presence of God. 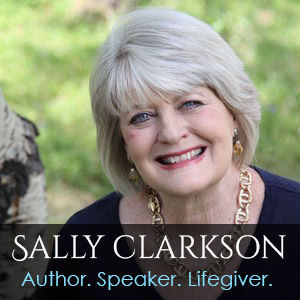 Have you ever noticed how the state of your spiritual life tends to be a microcosm of the rest of your life? That’s what I had realized this morning. Mark had realized the same thing (don’t you love when He speaks to your spouse at the same time?!) and was really feeling the importance of getting back on track. So, today has been a powerful Sabbath at our home. It has been a day of inward rededication to the Lord’s plans, purposes and priorities. I’ve been asked before what Sabbath observance looks like for us, and I want to share that here, partly in hopes of inspiring you in your practice and partly in effort to hold myself accountable to keeping this holy day holy in our home. Don’t take this as a list of what you should do, but rather seek HaShem for what He would have you do! As laid out in Genesis 2:3, the Sabbath begins on sundown Friday and goes through sundown Saturday. We strive to make Friday night special as we welcome the Sabbath. This usually means a yummy dinner that is well-liked, and if I’m really on it, a loaf of challah (traditional bread for Shabbat). 😉 We light 2 candles and say a short series of blessings, thanking the Lord for the Sabbath day, for all He has provided for us – both basic necessities and those added extras – and then laying hands on our children and blessing them. We try to have a relaxing mealtime 😉 and evening. We do our best to stay off screens (one of those we’ve gotten lax in and need to get better about again) and keep the focus on each other and the Lord. Saturday mornings are slow-starting, usually with lots of in-bed kiddo snuggles. We enjoy a relaxed breakfast and morning, and Mark and I try to make sure each other gets a quiet time. At 11:30 we turn on service in our living room. The kids are required to stay with us until the kids are dismissed from adult service after worship. (This is also something we have to work harder on. It’s so easy to just send them out so that we can focus, but then they will completely lose out on the service.) During announcements we usually make a simple lunch that we eat during service because it goes until 2ish. After service is over we make sure the littles are napping (they usually fall asleep during), and then we’re working on spending some quality spiritual time with the older two. After that, we rest! Naps are awesome. 😀 This is also a discipline issue, because it’s so easy to justify away planning things for the day. But God’s word is so clear that the Sabbath is to be a day of rest. 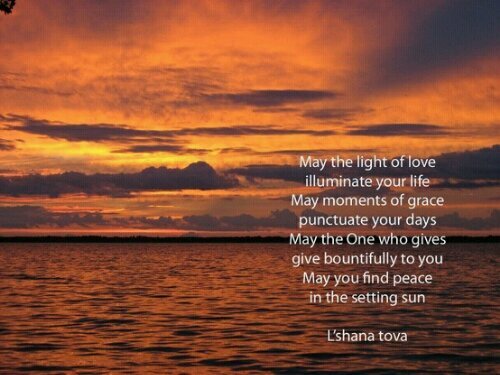 There is also a short series of blessings to close out Shabbat that we sometimes do, called Havdalah. I’d really like to be more regular with this. It’s a beautiful way to bring closure to the day instead of just letting it fade away with the sun. 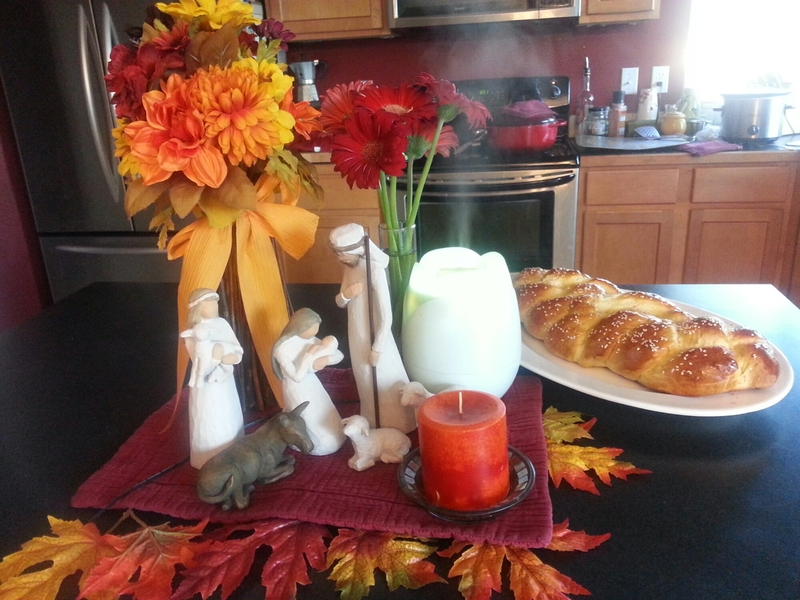 And there you have it – a typical (with God’s grace) Sabbath in our home! What does your day of 1st look like? Do you struggle with keeping your focus on this day? What helps you? Do share! I love Rosh Hashanah. It’s the beginning of the new year, the celebration of new beginnings. It’s the start of the Ten Days of Awe, a time of introspection, repentance and forgiveness. And it’s a celebration of the kingship of our Messiah Yeshua! HaShem has always placed high significance in the shofar blast. It was the sound that came from Mount Sinai at the giving of the Torah, and has been used in battle as well as worship throughout Israel’s history. Not only has the shofar blast been important in times past, but it will be important in the time to come! Be blessed this new year and always – Shana Tova! 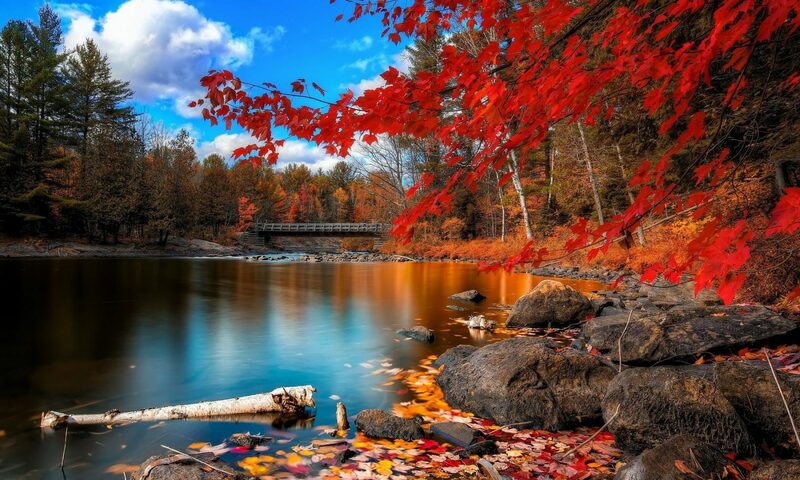 He will be like a tree firmly planted by streams of water, which yields its fruit in its season and its leaf does not wither; and in whatever he does, he propers. Today is Shavuot – the Feast Of Weeks – that is celebrated 50 days after Passover. Today is the day that we celebrate the giving of the Torah on Mount Sinai as well as the giving of the Spirit in Jerusalem. Today we celebrate that God loved us so much that He gave us His divine instruction for how we should live our lives, and He gave us His Spirit so that His Words would be written on our hearts and we would have more power to live a holy life. The passage above is one that our family holds dear; the last sentence of that verse is on our living room wall. We stand on that promise: that we will be strong, fruitful and blessed as long as we delight in and meditate on God’s law – teachings – Torah. Does that seem like a dichotomy to you – delight and law? God never intended for that to be so. His Torah was given as part of His relationship of love with Israel. And He gave His Spirit to His people to help empower them to keep that same Torah. Yeshua taught a love for the Torah (see Matthew 5:17-20); the apostles cherished the Torah. And I love the passage in John 14 (vs. 15-31) where Yeshua explains to his disciples his reason for sending his Spirit. His Spirit was to be a helper to them – to keep God’s commandments – and a source of God’s power within them. As modern-day believers, we are called to celebrate the Torah as “living and active, sharper than any two-edged sword,” (Heb. 4:12) and also cherish the Spirit, the “Helper to be with you forever.” (John 14:16) Through these two gifts to us, God speaks, and through them, our lives are changed! But in keeping with my heart’s song of late, sometimes it’s really hard to see these gifts. If I’m being honest, I’ll tell you that I’ve gone through seasons when God’s Word and Spirit have been far from my words and spirit. But the grace of God is truly amazing, and patient, and forgiving! He longs to draw us to Himself over and over again, and He never gives up on us! Praise be to our God, who in His infinite love gave us His Word and His Spirit! May we recognize these gifts that He has given us and delight in Him!